If you don’t know me you might not know that I’m not a medical professional and have no medical background, this is all from personal experience! 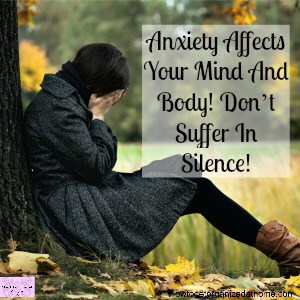 For many people, unless you are in the situation it’s not something you might have ever thought about, however, it’s a serious illness and one that needs the right support and help to overcome and manage! Don’t judge how they are feeling! Telling someone to pull themselves together is not going to help anybody! It might seem unusual to many people but supporting a person with depression is difficult, they aren’t the best of company but don’t let that put you off! 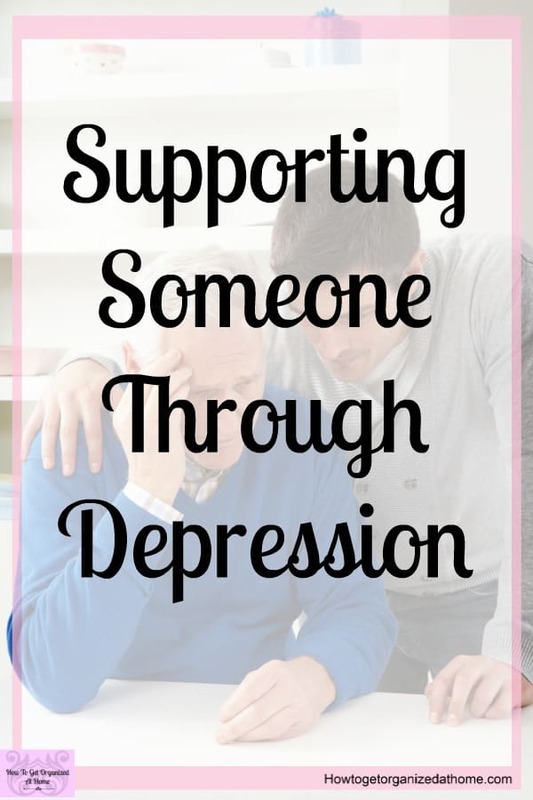 Knowing that they have someone they can talk to is important, it can help them feel better! A person with depression is overwhelmed with life, they don’t want to feel the way they are feeling but that doesn’t mean they can do anything about it! It’s a time to encourage that person with depression to seek medical help and advice, this is such an important step as depression won’t cure itself, medical intervention is critical to seeing a person recover! When you are looking into the options available to help a person recover from depression there are a few different options, it depends on what works and what will help a person manage their depression! Medication, I take this for depression, there are different types of medication and they can help you feel better! Don’t feel that you have been defeated if you need medication to treat depression, after all, you take painkillers for a headache, depression medication helps you feel better mentally too! Therapy is a great form of treatment, there are lots of different options from in-person therapy to online therapy! It all works the same, you talk to a professional who will help you discover ways to manage your feelings and emotions. Exercise is an excellent option for helping depression, it’s something that more doctors are encouraging their patients to do as it has an immediate effect on the person! The road to recovery is going to be tough and beating depression isn’t something that I’ve done, I like to say I manage my depression through a number of different strategies including medication and when I’m motivated, exercise! The more exercise you do, in theory, the better you will feel mentally! I haven’t had counseling for a number of years, I did it for 3 years straight in the beginning and loved the connection I had with my counselor, but she retired and I haven’t looked for a new one! Medication should only be taken under the guidance of a doctor! It’s a way for the mind to find the right balance of chemicals in the brain. 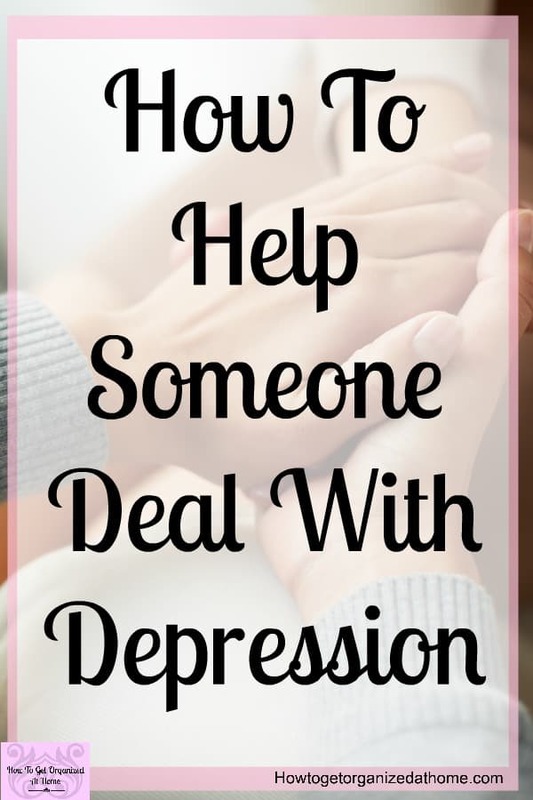 If a person has depression and is offered medication it’s important to support that person as there is no magic pill that you can take that will make you feel better immediately! It takes time, the side effects can make you feel rough too! Those first few days I found really tough and it really makes you question if you should continue taking the tablets! I know those feelings only too well, but what’s important is those side effects will subside and you will start to feel better physically but it can take a few weeks for the tablets to make you feel better mentally! When it comes to therapy there are so many different types that it becomes slightly more complicated, but again there is no magic cure, therapy takes time to have an impact on how a person feels! You want to find a person that you like, a professional who you feel comfortable taking with! There is a lot of professional therapists and you might find that an online therapist works well for you or you might need a face to face session to feel a connection. One benefit of the online therapist is the ability to be in a place that you feel comfortable in, I find that going to different places or new places stressful and can actually make me feel worse, being at home you don’t have the same emotions and you might find that you can connect on a deeper level more quickly! It’s something that is recommended more than anything, exercise makes you feel good. It has an immediate effect on how you feel and can give you that boost straight away, it doesn’t last long afterward but it certainly something you should consider. When it comes to depression it’s an illness that has taken it’s time to attach to a person, I see it like a parasite that has slowly attached itself to a person, an invisible force that fills a person with self-doubt and hate. It seems to feed off negative emotions and this helps it grow and develop! What you need to do is to build up a person’s feelings of self-worth, make them feel wanted and needed. You take the time to be with them, not forcing them into situations that makes them feel uncomfortable, but also you are not there it do everything for them either. Learning to take care of their own personal needs is important but a really tough one to go through, this is where there is a lot of mental stress for a person caring for a person who’s depressed. It’s difficult to understand why remembering to do some basic tasks is hard, but even getting out of bed in the morning can be so mentally draining that getting dressed and brushing your teeth or combing your hair is just out of the question! Taking care of a person with depression is a tough role to take on, but I think that it’s worth the time and the effort! 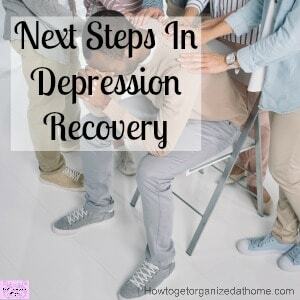 When it comes to depression there are a lot of resources out there but the most important action you can take is to get the medical attention that you need to help you on the road to recovery. I wrote an article about the Road To Recovery and I think it might help you! When it comes to programs I’ve used that I found helpful with my depression I can’t say enough good things about Cognitive Behaviour Therapy, it really helped me, my counselor helped me with the techniques and taught me the process! 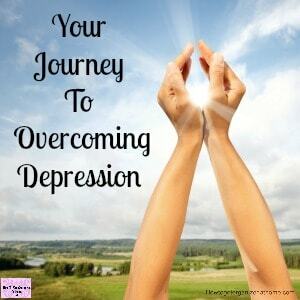 When it comes to depression recovery tips there is a lot to consider, it’s not something that is going to go away without help and support but showing there is hope and light and the end of this very long tunnel is important! Depression hurts, it’s not a physical pain but one that has such a negative impact on your brain that it can really hurt you mentally! Finding ways to feel better is important, you want to good to outweigh the bad and sometimes, in the beginning, it’s tough! But with time, and the right help and support, life can look more positive again! Seriously, don’t give up, I have faith in you that you can do this!